It is widely known that drug use, especially hard drug use, can cause tooth decay. 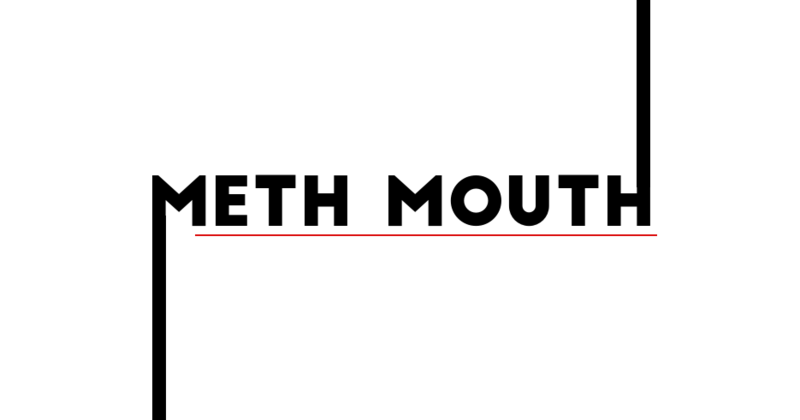 The worst drug offender in ruining teeth, however, is methamphetamine. Methamphetamine, or ‘Meth’ is known as a powerfully addictive drug that can harm overall health, but it can also seriously affect oral health. According to the American Dental Association, Meth use can both destroy a person’s smile and their ability to chew foods. A 2012 National Survey on Drug Use and Health found that 1.2 million Americans had tried methamphetamines in the last year and 440,000 reported using meth in the last month. These numbers have been on the rise since the early 2000s, especially in people between the ages of 18 to 34 years old. Meth use causes permanent brain damage and also causes the salivary glands to stop producing saliva. This dries out the mouth and allows the acid in the mouth to run rampant, destroying teeth. The lack of saliva in the mouth allows for cavities to form, and these cavities will likely be left untreated, as meth becomes the sole purpose of the users life. As meth use continues, total tooth decay occurs. Dentists can often times see the beginning signs of meth use in the oral health of teenagers. Teens who suddenly have teeth riddled with cavities is often a red flag to dentists. Meth use will decimate your natural smile and negatively affects your overall physical and mental health. A quality dentist will see the signs and possibly recommend or call a treatment center for help when noticing signs of meth use.